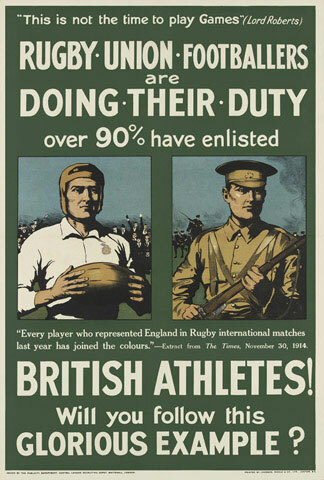 The Saracens Rugby Club players who volunteered for the Armed Forces in 1914 were part of a patriotic trend exhibited by many of the nation’s amateur sportsmen, who showed little hesitation in signing up to play ‘the Greater Game’ for King and Country. However, the much quoted Victorian Public School belief that ‘the battle of Waterloo was won on the playing fields of Eton’ was sadly destined to be exposed as myth on the Western Front in 1914, as countless young men fell victims to the dreadful tools of a modern warfare never previously encountered on such a scale. Nevertheless, the call to ‘Send More Men from the Sportsman’s Battalions’ to fight on the front continued, and the young Saracens players and other athletes flocked to join up and fight. This website will attempt to research and share the lives of those Saracens players who fought & died in the First World War.